A police team from Mangaldai Police Station in Darrang district led by its Officer-in-Charge Niranjan Barua on Saturday afternoon caught one National Register of Citizens (NRC) official red-handed on charges of taking bribe. The NRC official was arrested on the spot from the office premises of Family Tree Verification Centre (FTVC) at Mangaldai for taking bribe to officially consider documents against a family tree for inclusion of names in the updated NRC. 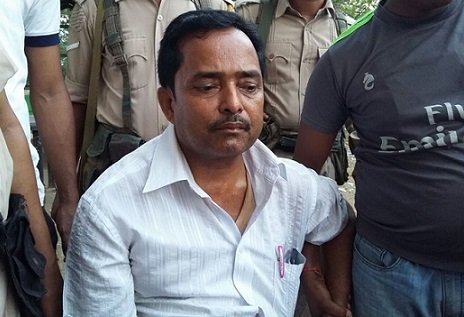 According to police, the NRC official, who has been identified as Abdul Malek, Secretary of Puthimari Gaon Panchayat, who has been engaged as a verification official at the Family Tree Verification Centre (FTVC) set up in the office of the Mangaldai Water Resource Division, was arrested on basis of a complaint from one Naushad Ali of Dhanshrikash village under Dhula Police Station. Ali in his police complaint had alleged that the official demanded Rs 4,000 from him on promise that he would consider his family tree for smooth entry of the names of his family members in the draft NRC. The complainant also stated that he had already paid Rs 1500 and on Saturday when he paid the remaining Rs 2500, the official was caught red-handed as planned. The amount with notes of specific serial numbers was recovered from his possession. A case has been registered and further investigation is on to ascertain to what level the official has been involved in such corrupt practice.